The ultimate goal in life is to be happy. The best part about happiness is that it is designed to be shared. 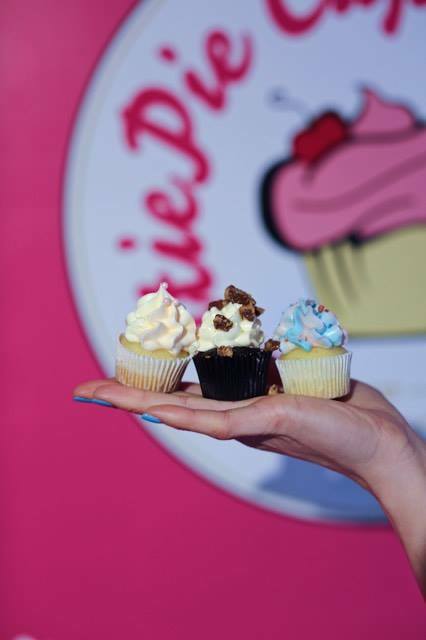 Since 2009, CutiePie Cupcakes has been a big part of Toronto’s celebrations – spreading happiness – one sweet treat at a time. NOW we invite you to join our 2018 mission in support of The Hospital for Sick Children’s No Limits Campaign. This new campaign is designed to help rebuild the hospital, fund breakthrough research and support child care on a global scale. We invite you and your team to host a cupcake fundraiser within your office, CutiePie will deliver the cupcakes on your chosen date (We are now booking for the week of Valentines’ Day) and we will donate 10% of ALL sales to the SickKids Foundation in support of their new campaign. CutiePie’s Happiness is Designed to be Shared campaign really brings people together through the sharing of delicious treats between co-workers, friends and family, all while bringing hope to our future generations.